During my time in a class titled "Lightweight Structure," we explored the topic of lightweight structures through the lens of material research and model making. 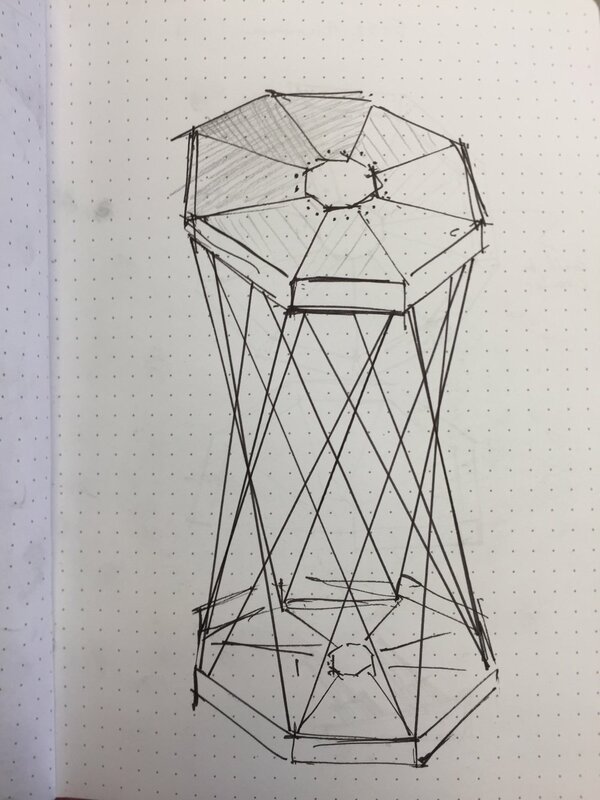 Topics included tensile structures, space frames, pneumatic structures, tensegrity and frozen fabrics. One form I found particularly intriguing was the hyperboloid for its remarkable strength and beautiful form. Having had past experience with archery, I also identified the carbon fiber arrow shaft as a promising building block for a larger, more complex lightweight structure. For my final project I designed a stool that combines the aforementioned elements of form and material to create a stool that's incredibly strong and lightweight. I designed this table to function as both a desk and a coffee table. Over the past decade I've moved almost annually and often find myself juggling furniture on craigslist to adapt to each new living environment. Many of my peers struggle with the same issues that come with semi-nomadic living. Some rely on second hand furniture, others purchase sleek, disposable furniture from Ikea and throw it out when it wears out or no longer fits in their lives. 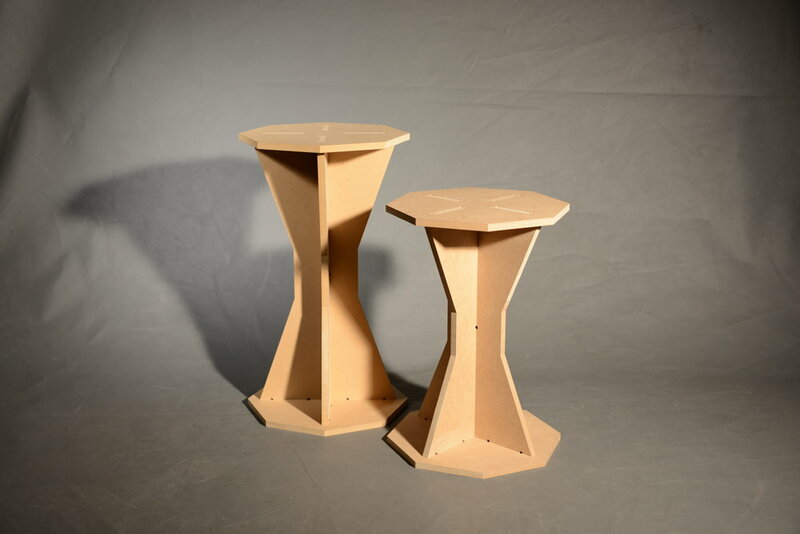 I wanted to build a table that could adapt to the needs of various living environments. 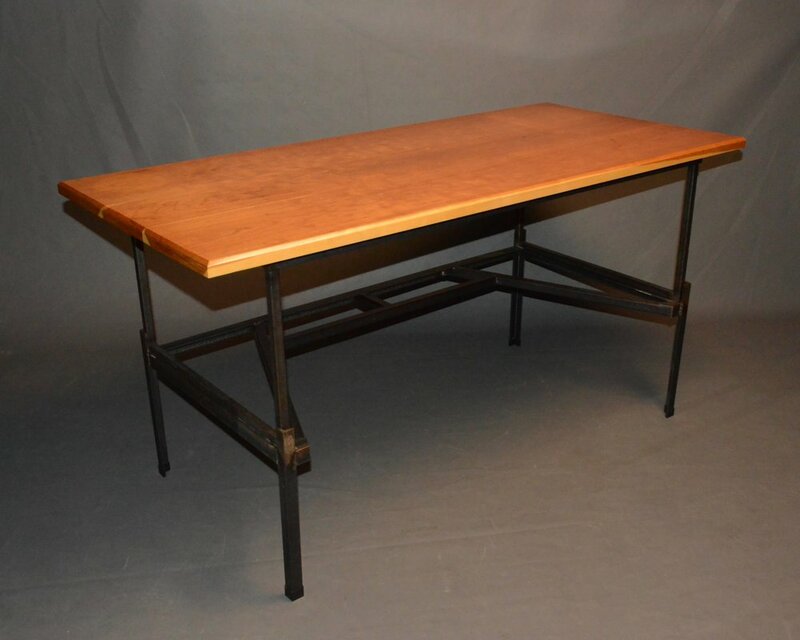 The base of the table incorporates two frames constructed from angle iron and square tubing. In the desk position one frame stacks on the other for height. When set up as a coffee table, the bottom frame is flipped and the top frame nests inside. I collaborated with undergraduate industrial design student, Lauren Hung to fabricate the final prototype. This project was created as part of the RISD ID Graduate Biennial. The exhibition is titled THIS IS HOW WE DO IT, and is comprised of pieces that address the four fields of industrial design: commercial, responsible, experimental and discursive. 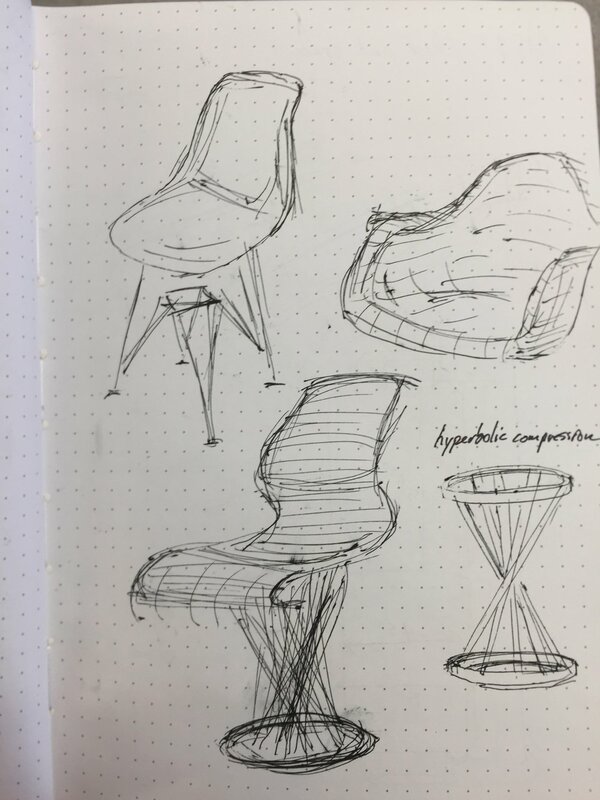 The participating designers were asked to come up with an adjective, a verb, and a noun that describe "good design". We used these words as inspiration for a piece that embodies one of the four fields. We were then given gold Bristol board and pink electric tape and instructed to incorporate these materials into our work to help create visual continuity between the pieces. The words I used to describe good design were "Universal, Revealing, and an Example." I chose to explore Commercial Design by creating a piece that could potentially be mass produced. I'm fascinated by the concept of flatpack design and its potential to create affordable and accessible products. Flatpack furniture is often constructed from unsightly sheet goods such as particle board or plywood. I was curious to see how the beautiful sheen of the gold Bristol board would interact with the angular lines of a piece of flat-pack furniture, and potentially enhance the aesthetics. I started the design process by sketching a number of concepts. Then I built several small models out of Bristol board, refining the mechanical aspects of the design. I transferred my final design into Adobe Illustrator, and used a laser cutter to cut the final pieces. I alternated the corrugation direction of the cardboard to maximize structural integrity, and then sandwiched the cardboard between sheets of gold Bristol board. After wrapping the edges in pink tape, the parts easily slid together to comprise the final piece.